This is my first Korean beauty product and when i read the name of this cleanser hatching Foam cleanser i was little surprised that what it could be, i mean hatching what it has to do with any cleanser. So before using it i did little research what exactly they meant by this hatching enzyme, here is what they explained on WishTrend. Hatching enzyme is protein breakdown enzyme which is secreted from germ cells and melts an egg membrane. This is gained by centrifugal process of Oncorhvnchusmykiss eggs hatched in 24 hours. It has a character which melts only dead egg membrane, not the alive part. 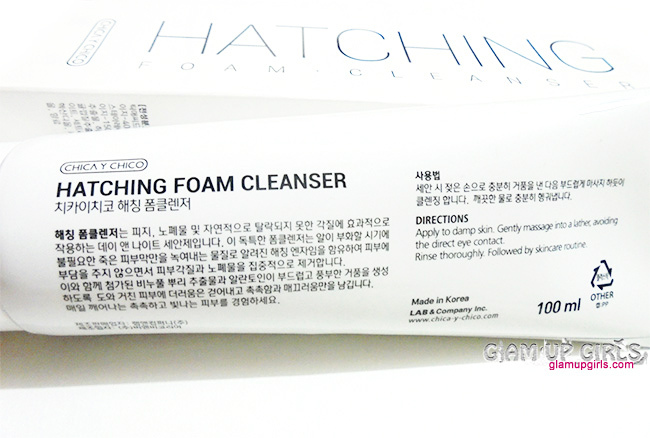 Hatching foam cleanse mildly traces only dead skin cells and removes them through this hatching enzyme. So this is basically a dead skin cell hunting cleanser, sounds interesting to me and plus it is suitable for all skin types even for sensitive ones. Well being excited to discover this new formula I have been using it continuously for more then 2 weeks and in between i have not used any other scrub, cleanser or face wash. So did it work for me or not keep reading to find out. Daily deep cleansing without irritation. Deep cleansing dead skin cells, excessive oil, pore cleanse with hatching enzyme. Trace of your skin with hatching enzyme ! 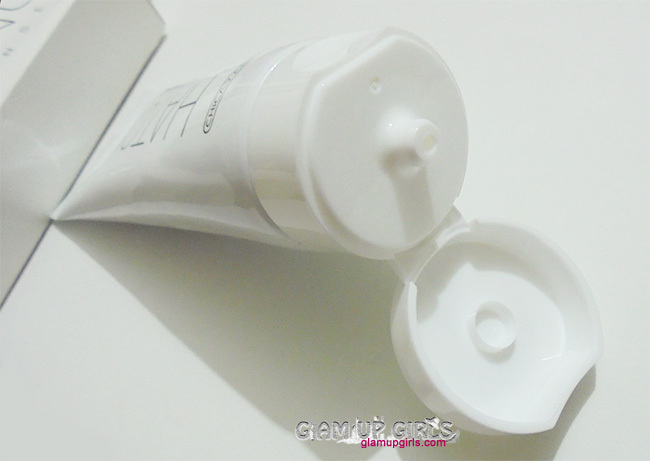 This cleanser comes is squeezable white color tube with flip cap. The texture of this cleanser is thick and creamy with little shiny particles. Even though it is for removing dead skin yet it has no exfoliating particles or beads instead it has smooth texture. I found its texture is very similar to Pond's white beauty except that one have little exfoliating particles. This cleanser have very light refreshing smell which is also similar to Pond's white beauty. As this cleanser has no beads or exfoliating particles it is recommended to use twice a day. I take pea size product and gently message it on wet face. It lathers very well and little amount is enough to wash and cleanse the face thoroughly. I massage for half to 1 minute before washing my face. After washing i felt my skin little stretched but not very drying so i would say it is not extremely drying for my dry skin. As nowadays the weather is very hot and humid so my complexion has become dull. I have noticed that my complexion instantly brighten up after one use. It did cleanse the dirt and extra oil from my face and it looked clean and toned. It mainly claims to hunt and remove dead skin. I have very dry skin which causes discoloration specially around mouth because of dead skin. I am really amazed to notice that it did lighten up the discoloration just in few uses. Despite being not using any other scrub or exfoliator it removed dead skin from all areas of face making it look healthy and fresh. It also claims to remove black heads which in my opinion is not true. I have few black heads on nose. It did clean and tone up the area but did not removed black heads completely, however i have not noticed any more black heads then before in 2 weeks. I have no large pores so i cannot comment on how they work for them. It deep cleanse the skin so it can be used to remove makeup as well. For normal to dry skin it does control sebum or oil for some instant in humid weather and i feel my skin clean and fresh for quite long.